Environmental community representatives from 10 Asian countries will visit Satu Hati Central Waste Bank (BSI) in West Jakarta, Thursday (9/13). They will observe and learn about 'Ayo Menabung Dengan Sampah' waste collecting program which is applied by Satu Hati BSI management.
" This waste collecting program is considered unique, so they want to see its application in West Jakarta by themselves"
South Jakarta Environment Sub-dept. 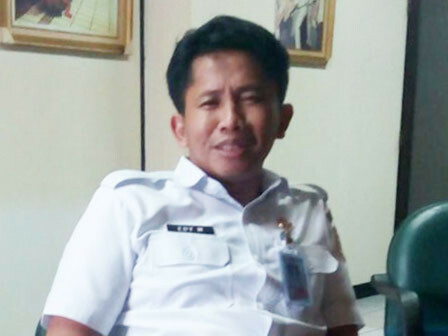 Head, Edi Mulyanto said, those representatives assess BSI's waste collecting program is unique since it can reduce waste volume and improve resident's welfare at once. "This waste collecting program is considered unique, so they want to see its application in West Jakarta by themselves," he conveyed, Wednesday (9/12). He added, the Asian environmental community representatives' visit is done due to cooperation between Satu Hati BSI with one BUMN. "They want to know about non-organic waste management procedures from the first it is collected and transported to 775 waste banks then taken to Satu Hati BSI," he mentioned.